The Georgian Government spent next to nothing on advertising campaigns in the second half of 2013. The sum spent on this direction in the first half of 2013 amounted to GEL 1,870, according to the Ministry of Economy of Georgia. In 2012 a total of GEL 192,197.95 was spent and in 2011 - GEL 16,322,071.86. The 12 countries where Georgia has marketing activities planned include itself, Azerbaijan, Russia, Ukraine, Kazakhstan, Germany, Israel, the Netherlands, Austria, Poland, the Baltic countries and the United Arab Emirates. Outdoor advertisements, online marketing, print media, TV advertisements and participating in different talk-shows are all included in this campaign. At the moment the following new flights are scheduled: Dnepropetrovsk-Tbilisi-Dnepropetrovsk and Dnepropetrovsk-Batumi-Dnepropetrovsk; Antalia-Tbilisi-Antalia and Istanbul-Kutaisi-Istanbul; Tbilisi -Tehran-Tbilisi; Tbilisi-Erbil-Tbilisi; Tbilisi -Baghdad-Tbilisi; Tbilisi -Mosul-Tbilisi. Georgia will be taking part in international exhibitions in: Milan, Italy (BIT) - 14-17 February; Berlin, Germany (ITB) - 6-10 March; Kiev , Ukraine (UITT) - 27-29 March; Baku, Azerbaijan (AITF) - 4-6 April. Exhibitions will be held in Germany, Spain, South Korea and Georgia. 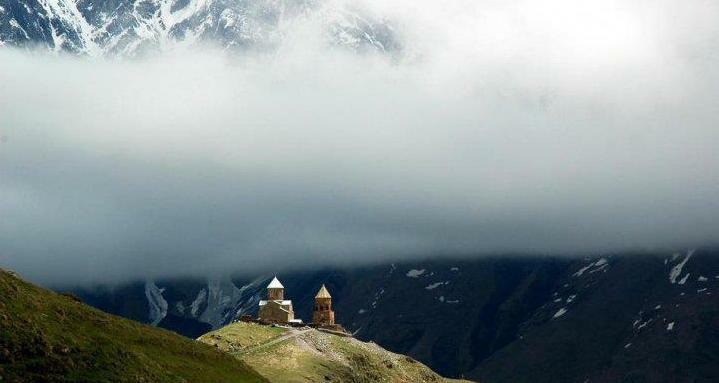 The number of international travellers in Georgia is expected to exceed 6 million in 2014, according to GNTA. This year Georgia has had 26% growth of tourism and was named the star performer by the World Tourism Administration. However, Georgia is facing a lack of hotels and different challenges such as climate change, “grey tourism”, the rise of the individual, and enabling technology, according to the KPMG International Survey. The forecast is that by 2030 the world’s population of people aged 65+ will be doubled to 1 billion, raising the overall proportion of those 65 and over. Today only 8% of the population is 65+ but in 2030 their percentage rate will be 13%. A key contributing factor in population ageing is declining birth rates. From 2011-30 pension spending is forecast to increase by an additional 1.3% in the GDP of developed countries and 2.2% in the GDP of developing countries. “More elderly people means older tourists who have different needs. It means more healthcare costs, hospital costs. Is Georgia ready for “grey tourists?” asked Andrew Coxshall. “While pondering this issue, Georgia should take into consideration that these people have money and still want to travel. Georgia might be ready for today’s tourists but it is not ready for grey tourists. Regardless of older people, globally 15-24-years-olds make up 40% of the total unemployed population. 90% of the world’s youth resides in developing countries. 1 million young people in India will enter the labour force every month for the next 20 years. Does Georgia want to appeal to “middle class tourists?” If so what needs to get done? These are the challenges that Georgian tourism faces today. 2030 is not far away, and the country should be ready for that time,” he said. Developing “grey tourism” is one of the priorities of GNTA, as Sigua says. At the moment, out of the total number of tourists visiting Georgia only 2% are of the age of 65 and up, according to GNTA. The majority of tourists - 31%, are 25-34 years-olds. “60 year-old tourists prefer organized tourism. Tourist companies are already working on this direction,” said Sigua. “Improving public infrastructure to enable the development of regional tourism is very important for the economy, because while we had 5.4 million international visitors in 2013, which is much more than the country’s population itself, next year we are expecting more tourists, which means that we need more infrastructure, information, as well as added convenience and comfort for travellers,” said Sigua. “Not only because of the number of tourists, but also by the share of tourism in the national GDP, tourism was the main direction of 2013,” said Giorgi Sigua. “In 2012 Georgia got USD 1,410,901 million in national GDP. In 2013 we already had almost the same number in the first three quarters alone. The growth is 26% and we expect that USD 2 million was received in the national GDP in 2013. The statistics are still being compiled at the moment. The share of international tourism was about 6.2% of the national GDP. The average expenditure of a traveller during a trip to Georgia is GEL 641. If we take into consideration domestic tourism as well, which we have to develop, the share of tourism in the national GDP will be much more,” he added. There are Tbilisi , Batumi and Kutaisi international Airport s in Georgia together with small regional Airport s. As for the accommodation sector, there are 1,063 accommodation units with more than 37,000 beds in the country. The Adjara region is the leader in this sphere by number of beds: 28% of all accommodation units are located in this region. Hotel-type accommodation units have the majority of beds (64%). “In Adjara there are 10,484 beds, in Tbilisi - 6,207, which is absolutely not enough for our country’s capital! This is why the occupancy rate of the hotels in Tbilisi is one of the highest in the world. Holiday Inn Tbilisi is the largest hotel in Georgia with 250 rooms and it has the best occupancy rate worldwide out of Holiday Inn’s entire chain. It has an 80 percent occupancy rate in general, but in summer it has a 100 percent occupancy rate,” said Sigua. In Samtskhe-Javakheti there are 6,167 beds, in Imereti - 3,130 beds, in Guria - 2,805 beds, in Mtskheta-Mtianeti - 2,534 beds, in Kakheti - 2,511 beds, in Samegrelo-Zemo Svaneti - 2,028 beds, in Racha-Lechkhumi - 525 beds, in Kvemo Kartli - 500 beds and in Shida Kartli - just 168 beds. The number of beds by accommodation type is as follows: 64% - hotel, 17% - family house, 13% - guesthouse, and 6% - other. “Hotel Rooms, Radisson Park Inn, InterContinental , Rixos, Ambassador, Kempinsky and Hilton are all upcoming projects. Together with boutique and middle class hotels , more than 100 new hotels will be opened in Georgia over the next two years,” said Sigua. However, Andrew Coxshall thinks that tourism infrastructure means not only hotels and roads, but it is also about people having access to the appropriate information. “The private and public sector need to keep up with technological advances, and invest more in the development of IT infrastructure. 360 million people had access to the internet in 2000 while their number reached 2.4 billion in 2012 worldwide. The global value of the “app economy” is projected to be USD 151 billion by 2017. 90% of the digital data in the world today was created in the last two years,” he said. The Project Development Objective by the World Bank is to improve infrastructure services and institutional capacity to support the development of tourism-based economy and cultural heritage circuits in the Kakheti region. The World Bank is investing USD 60 million in improving infrastructure in Kakheti while the Government of Georgia is investing USD 15 million. “What we carried out was the rehabilitation of municipal infrastructure and utilities in the central historical areas,” said Ahmed Eiweida, Sector Leader for Sustainable Development at the World Bank , Washington/Georgia. “There was a need for urban renovations and improving the quality of municipal infrastructure in key cultural centres. A lack of activities to promote visiting the region as an attractive tourism destination was another problem as well as inadequate service skills and limited proficiency in foreign languages. “It is a big mistake to think of developing a region, cover just one city and think that this constitutes regional development. Georgia has to think about a circulate approach. When we asked tour operators what their main problems were, they said lack of public toilets is a problem in Georgia. The next step is to establish at each spot a tourism facility which has an information centre, voice guide, barcode and public toilet. And in some places like Alaverdi, the facility can include a restaurant as well,” Eiweida said. “The private sector is also responding to our activities. Many people have carried out in-house improvements and transformed their houses into guesthouses or family houses, or restaurants and wine-tasting areas,” he added. Andrew Coxshall underlines that a very important challenge for the Georgian tourism industry is to make tourists stay in the country longer. Out of all the international travellers visiting Georgia 57% are tourists, people who spend at least one night in the country. As the KPMG International Survey found, the majority of tourists spend a maximum of five days in Georgia, not longer. “What you need is to keep these tourists here for longer. Georgia’s focus should be on not only looking west, but looking east as well, because the number of tourists from that part of the world is increasing because of their growing population,” said Coxshall. The number one country from where tourists are coming to Georgia is Turkey (1,593,372), followed by Armenia (1,285,175), Azerbaijan (1,072,226), Russia (765,458), Ukraine (126,300), Iran (78,633), Iraq (41,203), Israel (39,914), Poland (36,821) and Germany (30,754). What do international tourists like and why do they come to Georgia? This was one of the questions of the survey which GNTA conducted and the result is that nature-based tourism is the most popular with international tourists (34%). 23% said that what’s most attractive is cultural tourism, 13% - adventure tourism, 5% - wine tourism, 4% - leisure tourism, while sports tourism, health tourism and agritourism all got 1%. As for the accommodation, in terms of where people go: 43% stay in hotels ; 34% - in the private home of a friend; 9% - in a guesthouse/hostel; 7% - rented apartment; 6% - other accommodation; 5% - personal home/apartment; 3% - campsite or trailer park. Having an eco-friendly tourism attraction is very important for Georgia, as this is a free niche which the country can fill, said Coxshall. 9 different eco-tourism products have already been created in 5 protected areas, these include walking and bike trails around Georgia. In adventure tourism Georgia has kayak routes around the country, mountaineering routes as well as speleological tourism. The country has huge potential for agritourism in Guria, Western Georgia.